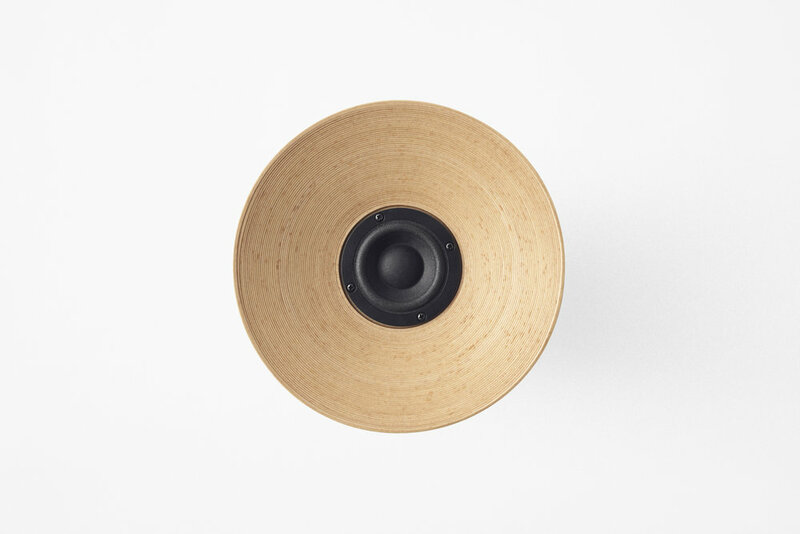 Nendo, a Tokyo-based designer created a minimalist speaker named the Bunaco Speaker. With an abundance of beech trees growing around the Aomori prefecture in Japan, Nendo was inspired to create and develop something with this material. 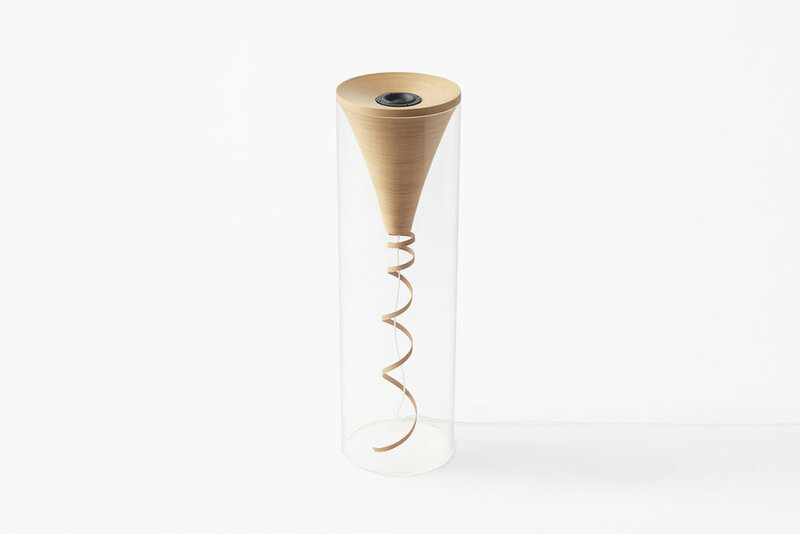 Rolling thin and narrow strips of beech wood together Nendo was able to create a coil-based shape. 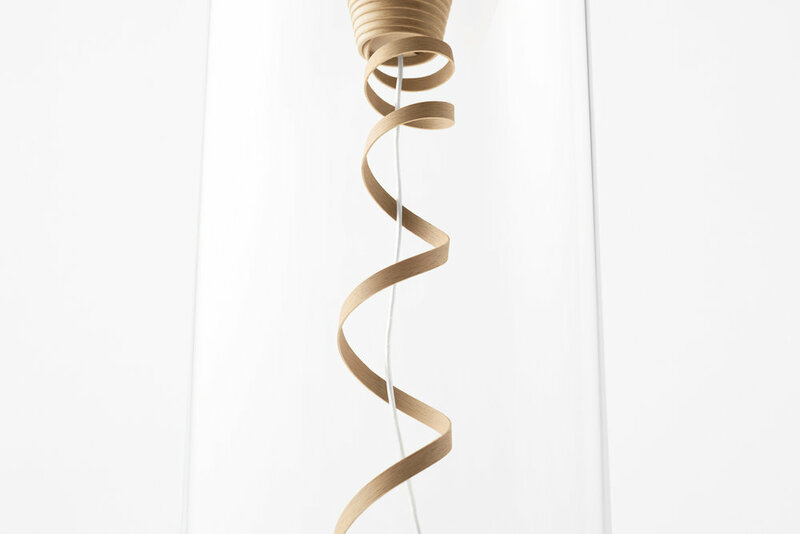 This technique has been used for generations creating objects such as bowls, decorative goods and lighting fixtures. It was clear from the beginning that this technique could be used to create a wireless speaker. 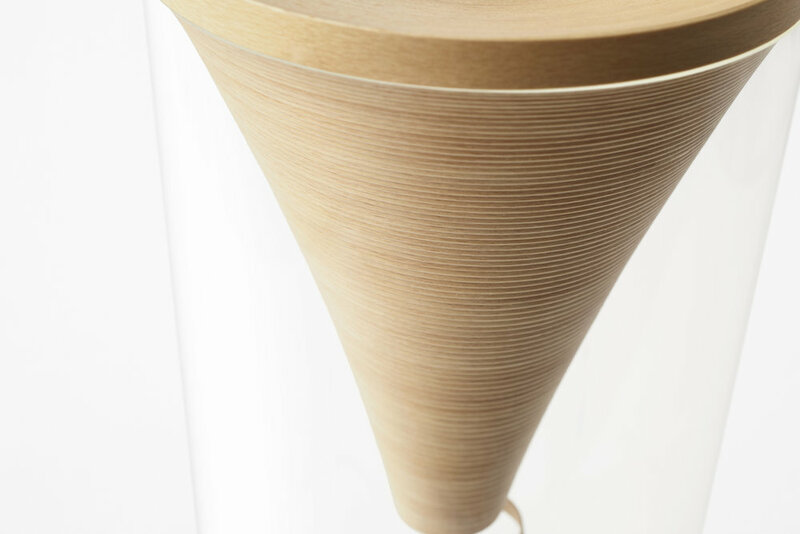 From the unique qualities of the internal structure - including the shape and the fine steps - and it's sound absorbing qualities of the beech wood a clear and soft tone could be produced. 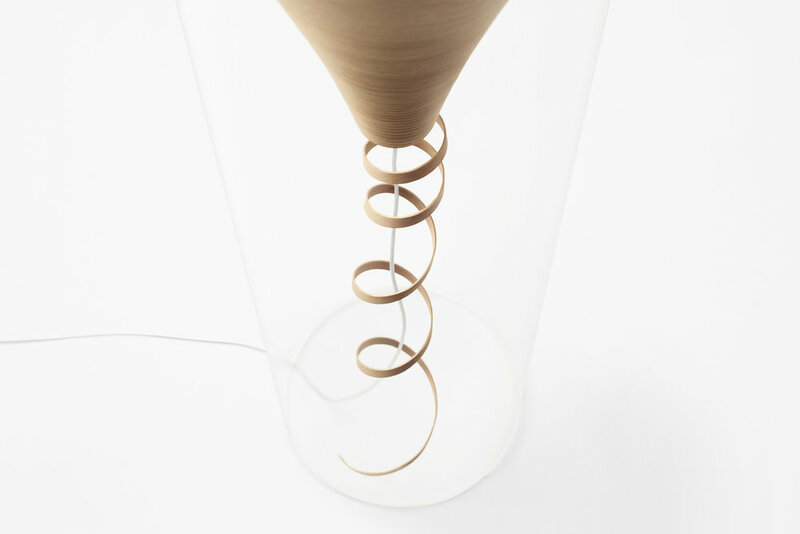 The minimalist structure and the almost unfinished aspects of the design make this piece incredibly unique and elegant.